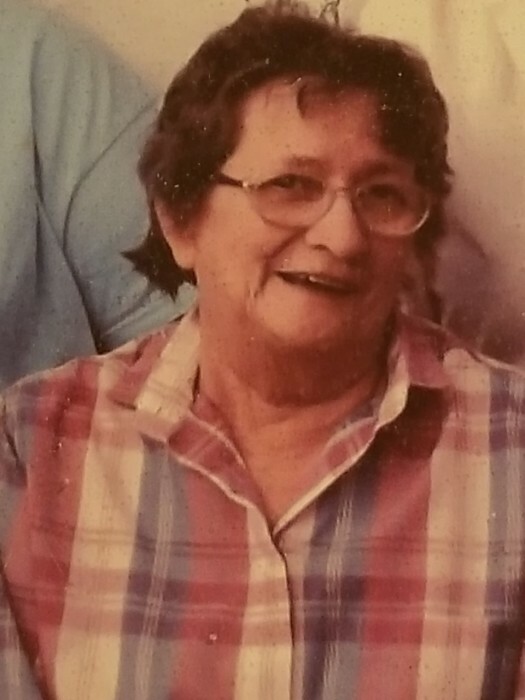 Frances Kay (Pourier) Matsamas, age 74, passed away on January 28, 2019 at the Chadron Community Hospital. Frances was born August 30, 1944 to Calvin and Beulah (Cuny) Pourier in Hot Springs, South Dakota. On August 26, 1960 she married John Matsamas. John and Frances moved to Oelrichs in 1968. She worked at the nursing home in Chadron, then as a home health aide before beginning her career as a cook for 36 years, with her final retirement from the Oelrichs School in 2011. Frances is survived by her three sons, Calvin & Tracy; Joey; Rick & Rhonda of Oelrichs; two daughters, Kelley & Dave of Oelrichs; Sherry & Gary of Hot Springs; thirty grandchildren; 22 great-grandchildren; and one great-great grandchild; brother-in-law Tony & Pat of Utah; brothers: Larry and Terry, Donny, and Doug of Rapid City, SD, Kenny and Ruth of Oelrichs and sister-in-law, Rita of Spearfish and brother-in-law Les White of Rapid City; and numerous nieces and nephews. She was preceded in death by her husband John; parents, sister AlMarie and brother Wayne; sister-in-law Irene. No services will be held for Frances Matsamas.